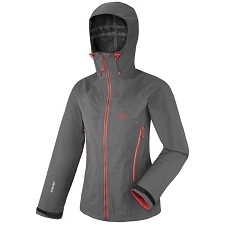 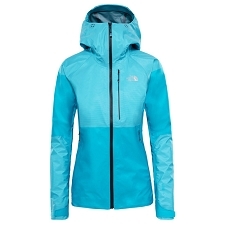 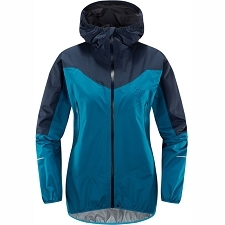 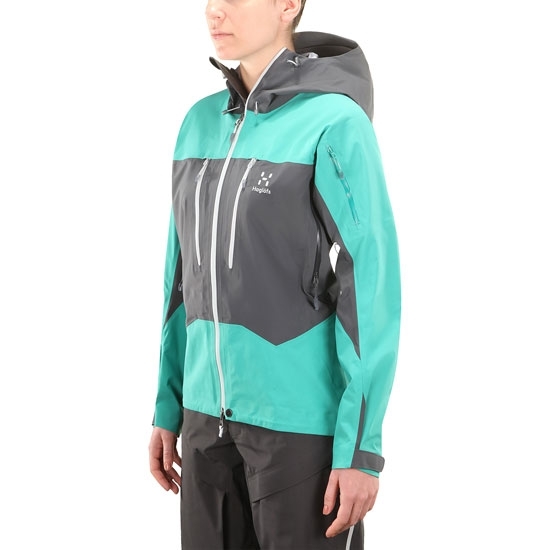 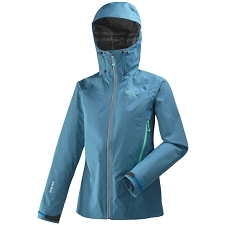 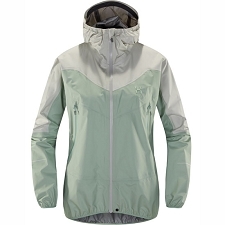 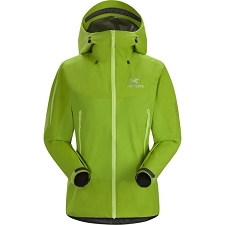 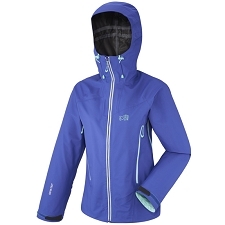 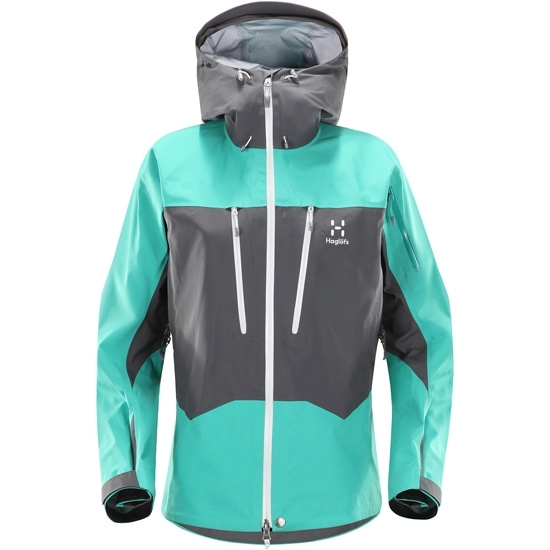 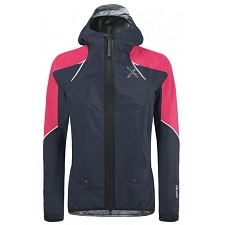 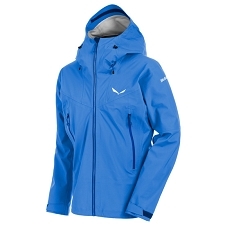 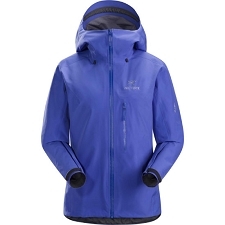 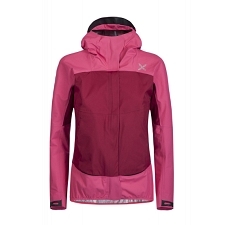 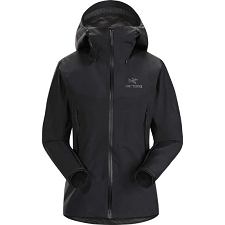 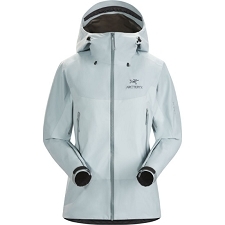 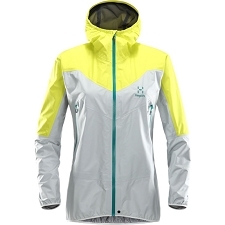 Women's Technical jacket by Haglöfs . 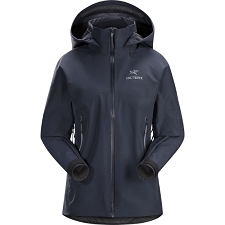 Highly resistant and light it is designed for mountaineering, with an athletic cut that provides the freedom of movement necessary for this type of activity. 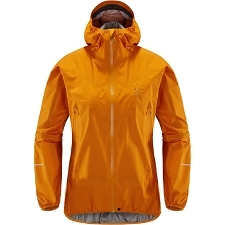 The Spitz Jacket W incorporates a Gore-tex & reg; Pro Shell 3 Layer membrane, which offers the maximum level of resistance and is perfect for extreme and prolonged use. 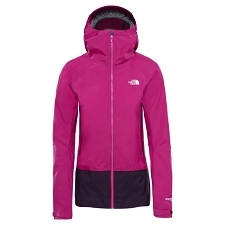 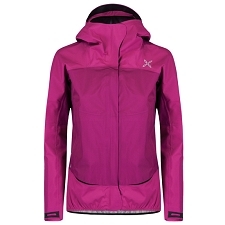 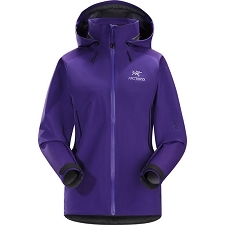 It provides windproof and waterproof protection, all combined with optimum breathability. 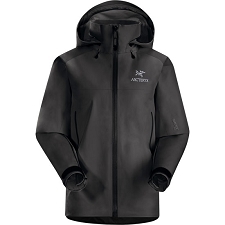 Gore-Tex Pro Shell 3 layer membrane, waterproof, breathable and resistant. 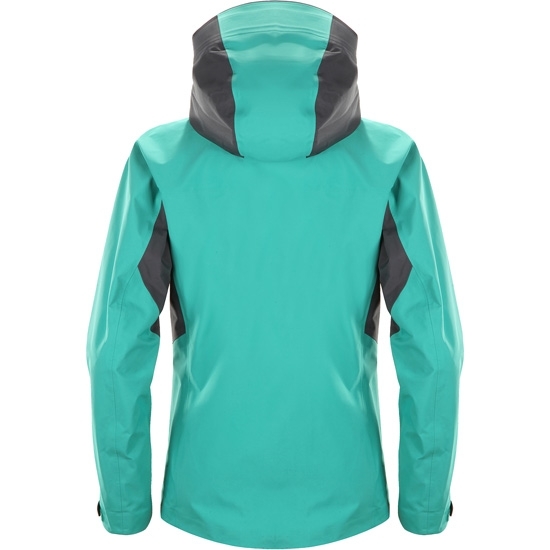 Adjustable 3-way hood compatible with a climbing helmet. 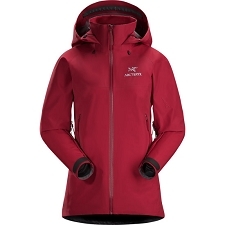 Front pockets with harness-compatible zippers. 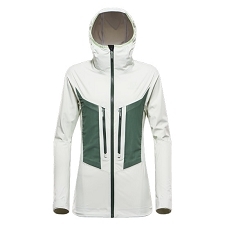 Pocket in the left sleeve and 2 interiors. 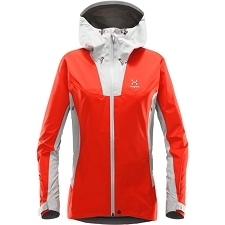 Underarm ventilation with waterproof zippers. 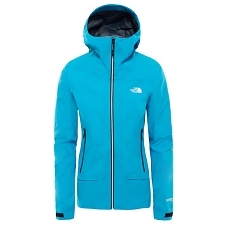 Length at back 70.5 cm (size M). 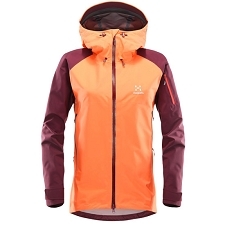 Customer Opinions "Spitz Jacket W"